A visiting guest wrote/drew this on the table. 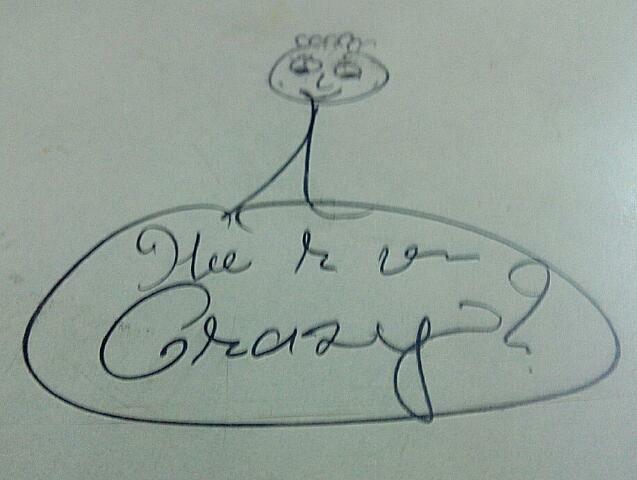 The writing inside caricature reads 'Hee r u crazy?'. I wonder if he was asking himself or me?